Thank you for taking the time to learn about Crystal Lake Banquet and Event planning services. 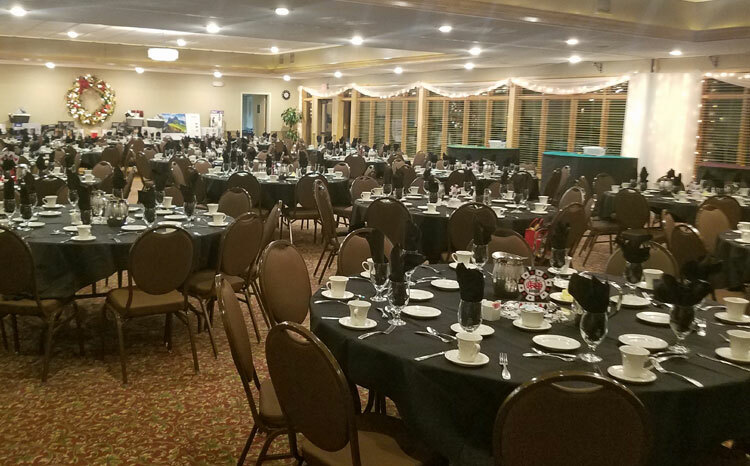 At Crystal Lake Golf & Banquet we pride ourselves in our ability to combine a beautiful venue with excellent service & professional advice. We can host Wedding Ceremonies and Receptions in our Crystal Room, Business Meetings in our Granite Room and more intimate gatherings in our Quartz Room. Crystal Lake offers elegant event facilities, cuisine to delight the palate, flawless service and full service event and wedding planning by our experienced and professional staff. From the point of your initial inquiry, through the planning stages, until you walk out the door at the end of your event, our wonderful Banquet and Catering staff will take care of you through the entire process making your planning easy & stress free. "I want to sincerely thank you for your extraordinary food & service provided at our holiday party."